High strength wrought iron style gate design. Suitable for most home and garden entrances. 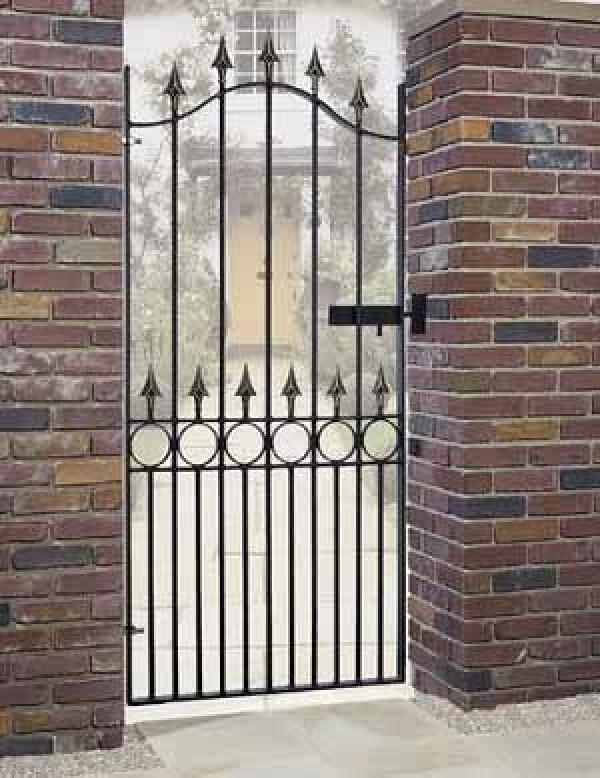 Manufactured from heavy duty steel to ensure strength and durability the Balmoral wrought iron style side gate features an arched top that is fitted with spear top finials to provide additional security and is further enhanced with the addition of another row of finials and circular scrolls across the centre. Side gates are ideal for any home and garden entrance. The traditional shallow arch top improves security and aesthetics. The Balmoral design is fitted with spear top finials. Constructed using 40mm x 10mm solid metal frames and 16mm infill bars. Designed to be left hand hanging only (as viewed from the road side). Gates are supplied with adjustable hinges and a sliding latch (can be secured using a padlock). Balmoral wrought iron style side gates come in a factory applied black primer finish and must be painted to the colour of your choice before you install them. 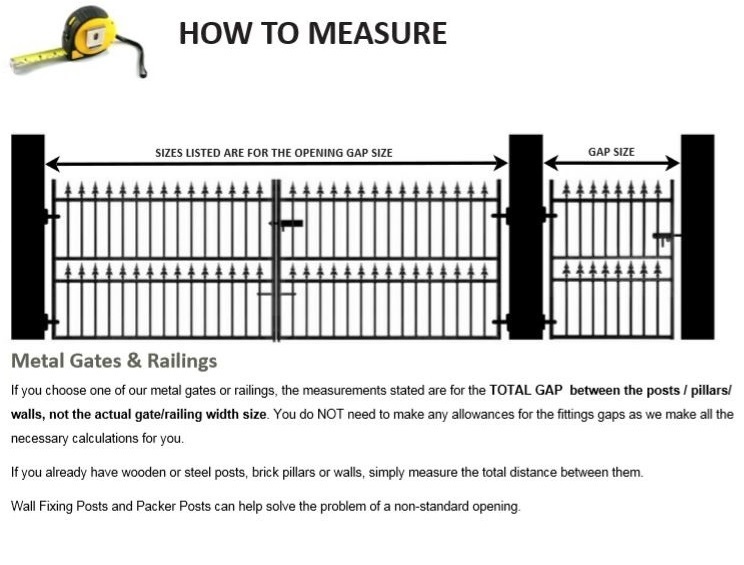 Do you need further assistance choosing a gate to suit your requirements? Take a look at the measuring guide to help work out the size required, read through the FAQ`s for general queries or call us now on 0844 804 5577 if you have a specific question. To enhance this high security side gate we are able to offer the following additional items.